Schweitzer is our Lake Tahoe of Idaho for its beautiful views and legit vertical – 2,400’. 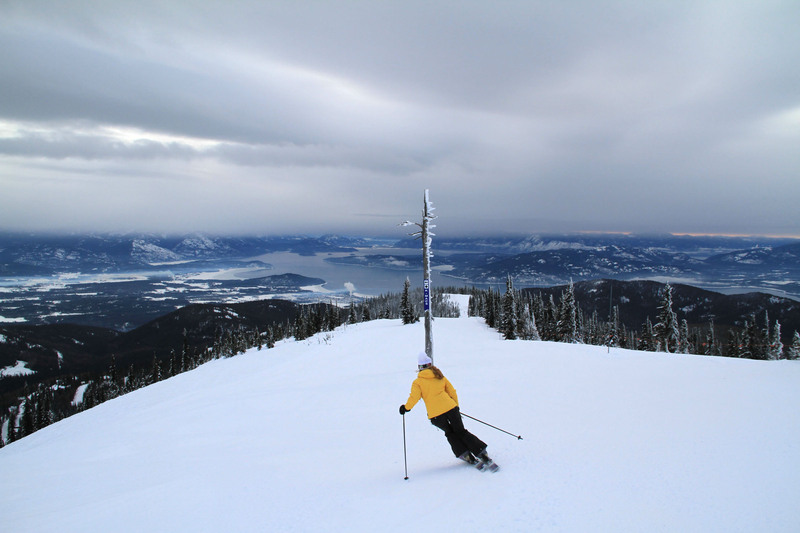 On a clear day you can see as far as Montana, Washington, The Canadian Rockies and most impressively Lake Pend Oreille (ear lobe in French – named for it shape) – the spectacular lake below. Lunch at the Sky House, ski to Schweitzer’s new Summit Lodge with phenomenal 360 views from the top of the Great Escape Quad. 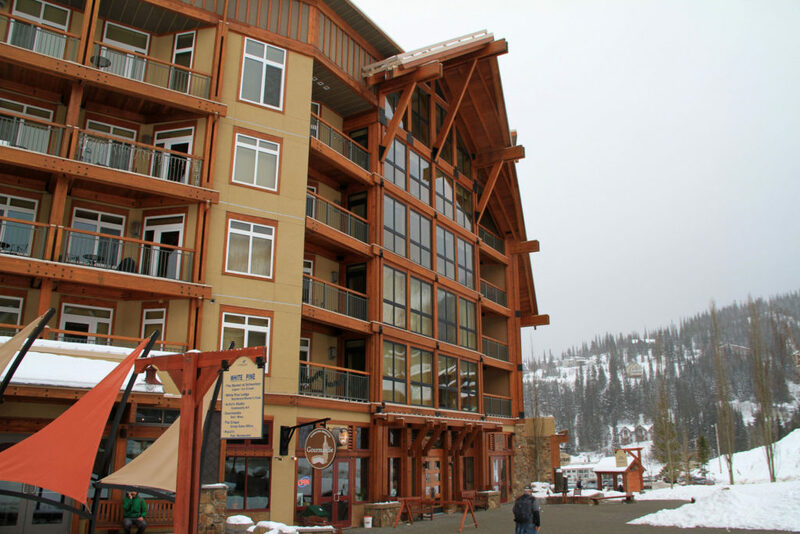 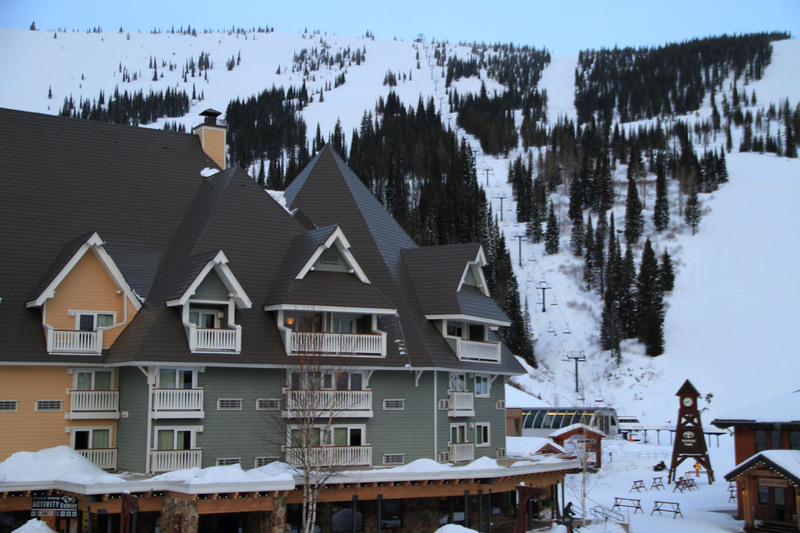 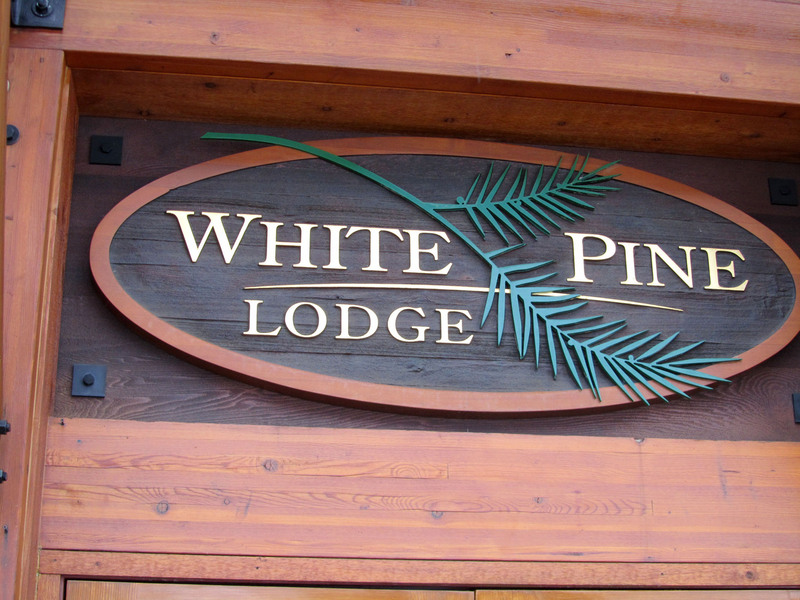 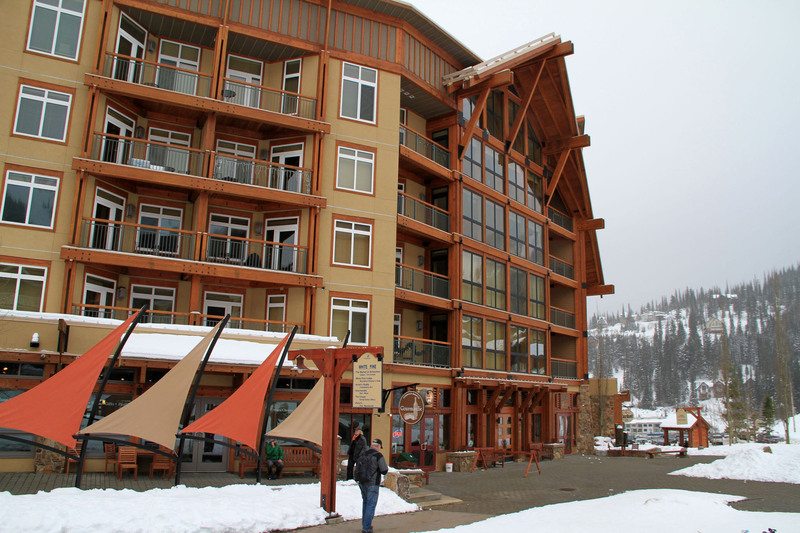 Stay in the village at Schweitzer – a European style pedestrian village with the classic clock tower – in luxury at Selkirk Lodge or White Pine Lodge in beautifully-appointed hotel and condo style suites. 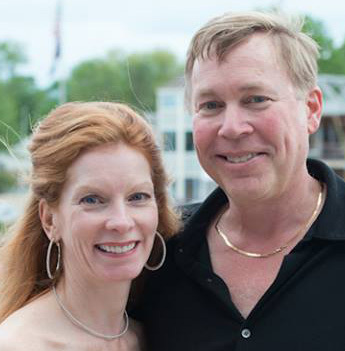 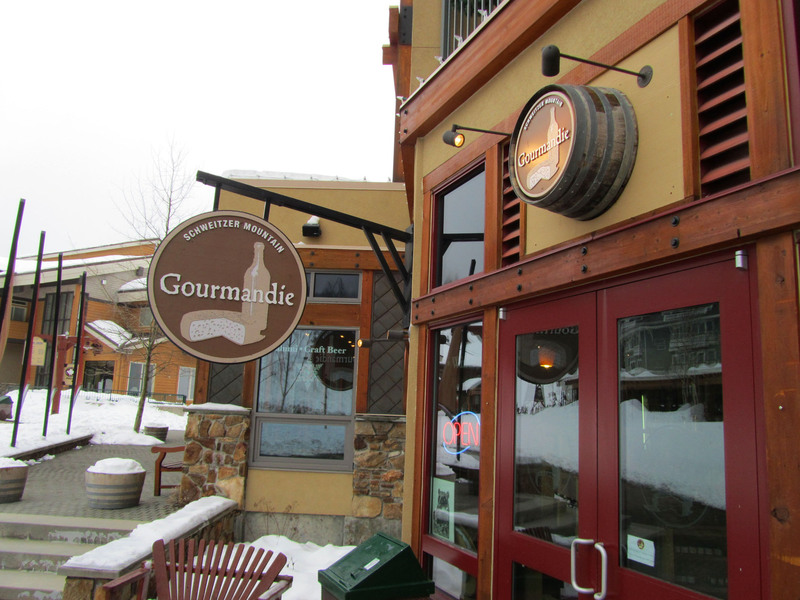 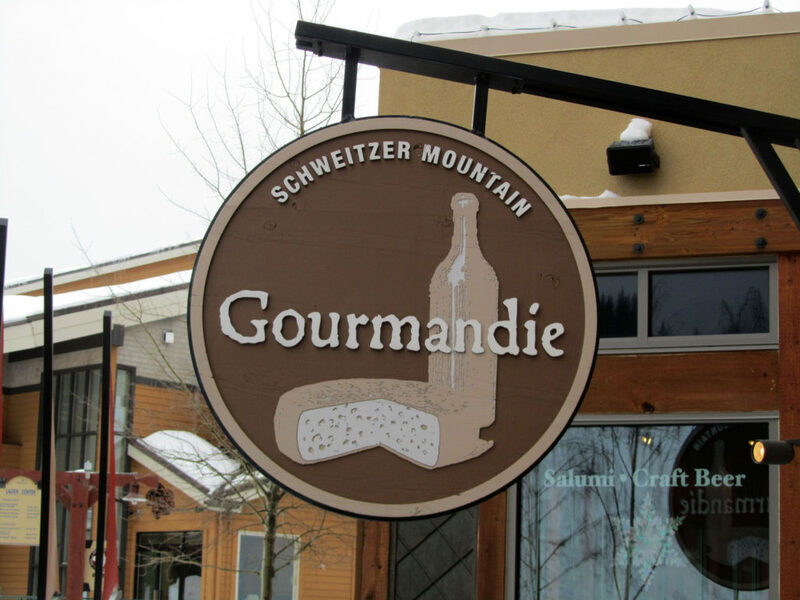 You can walk to the outdoor hot tub, the ski lifts, the Solstice Spa for a massage, ski shops, wine and cheese tastings at Gourmandie, and dinner at Chimney Rock Grill. 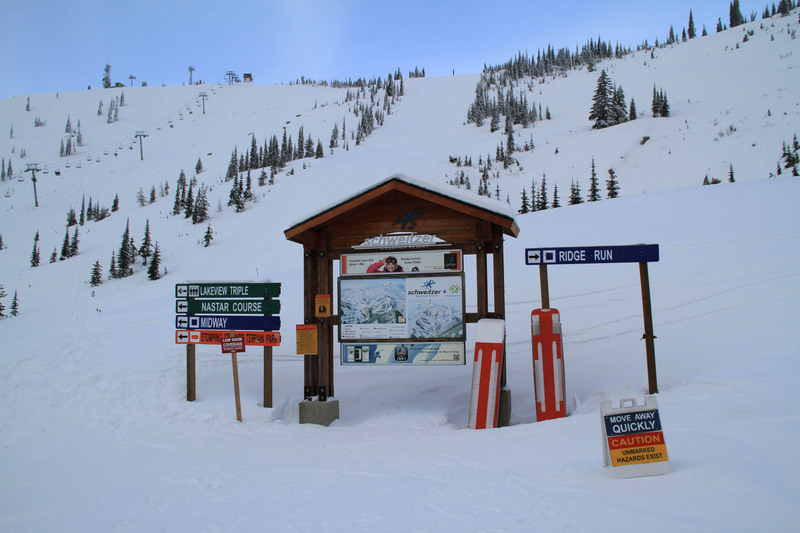 Ski Schwietzer’s consistently pitched steeps in perfectly spaced trees to wide groomers and family friendly terrain. 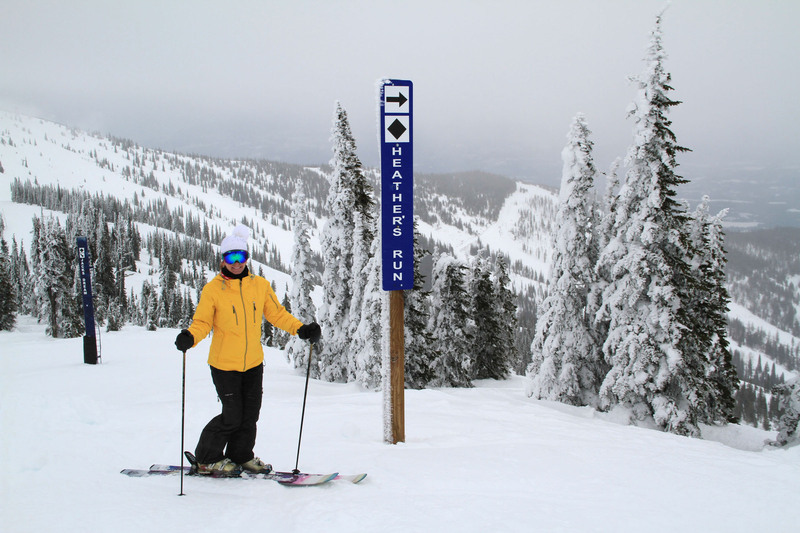 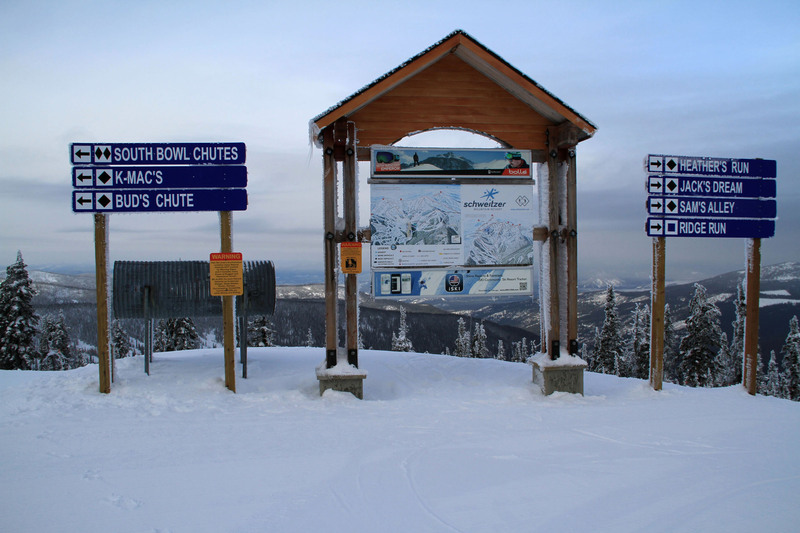 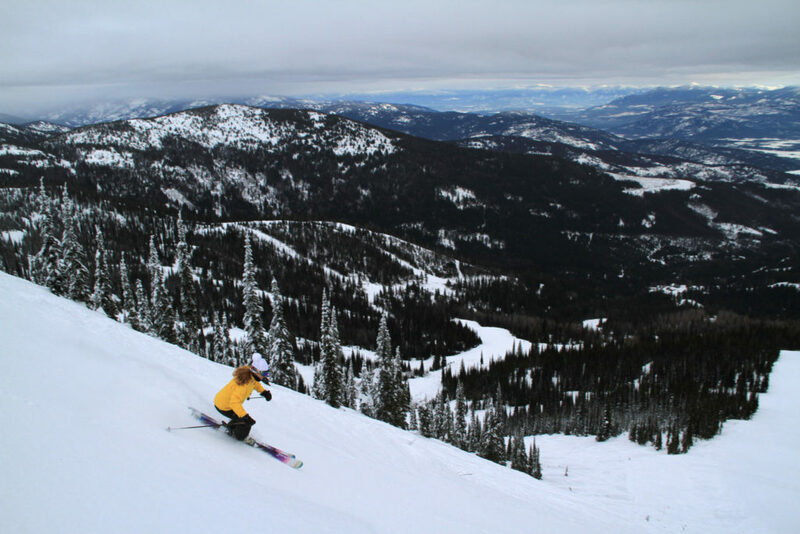 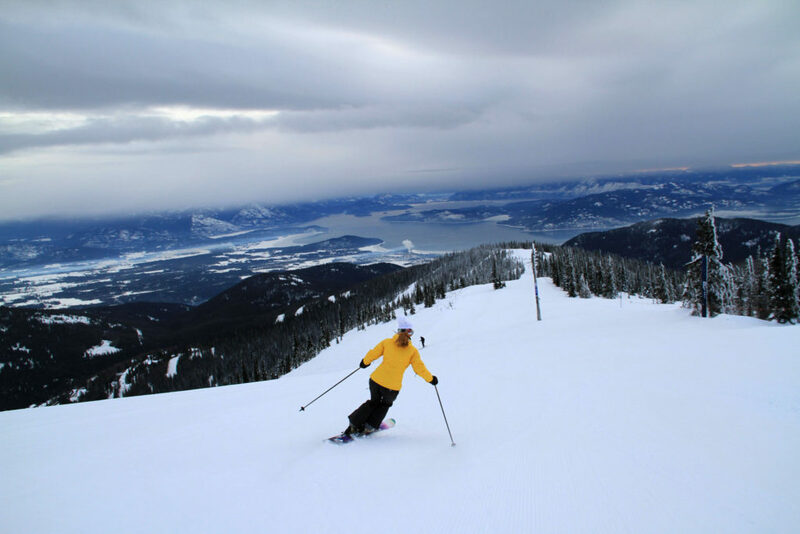 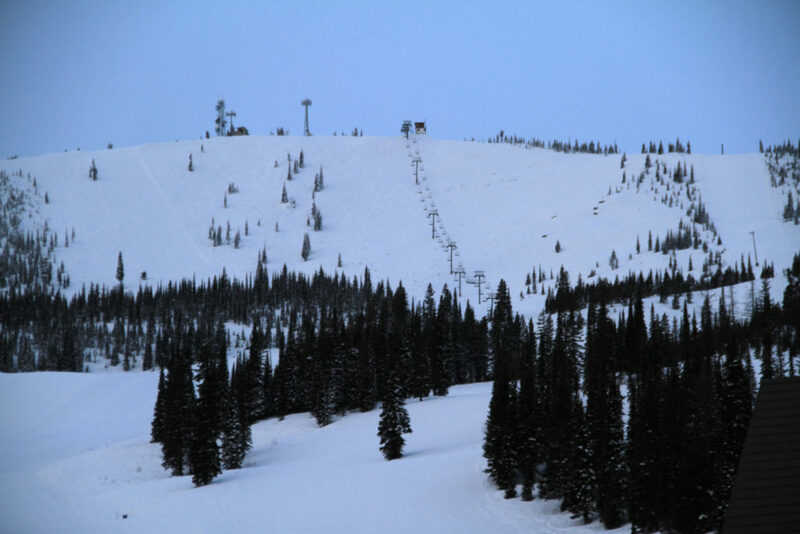 Schweitzer is like five distinct ski areas with Schweitzer Bowl on the front side offering groomed steeps and powder glades serviced by speedy quads and a Stomping Ground terrain park,. 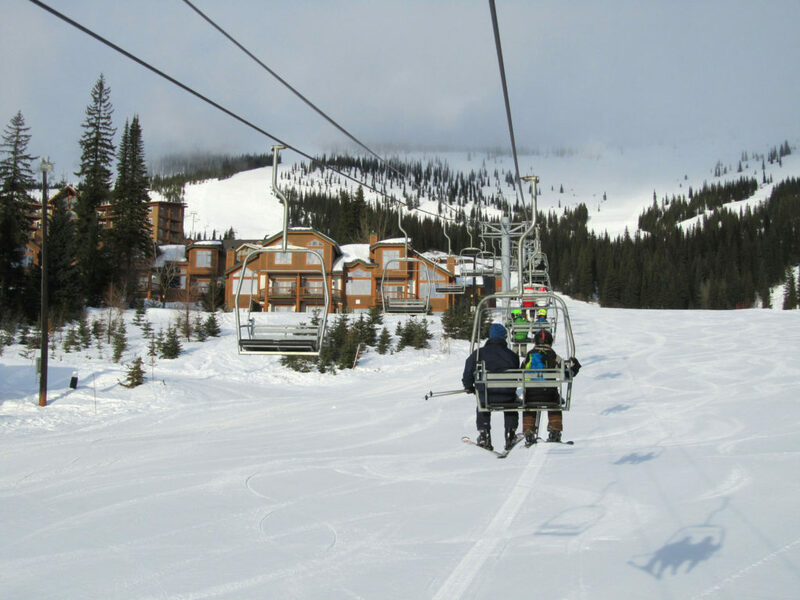 The perfect learn to ski area Musical Chairs is below the village. 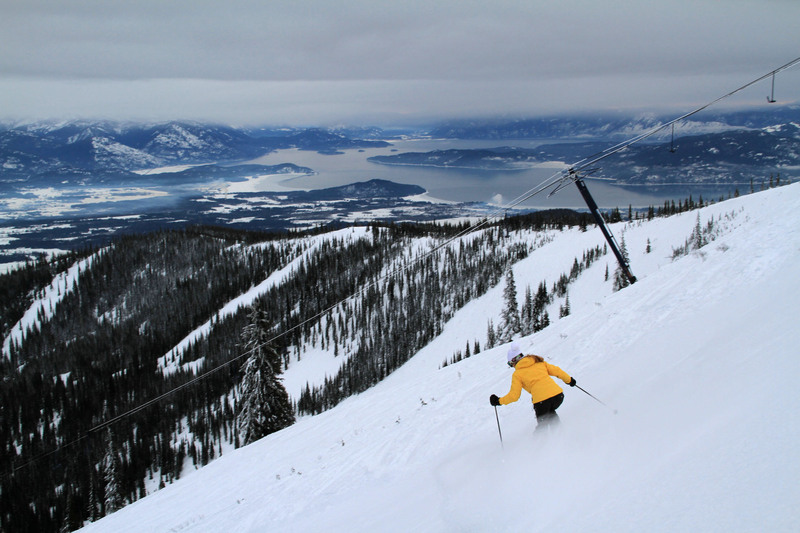 Schweitzer’s back side Outback Bowl offers punchy steeps and groomers in an entirely different alpine aspect. 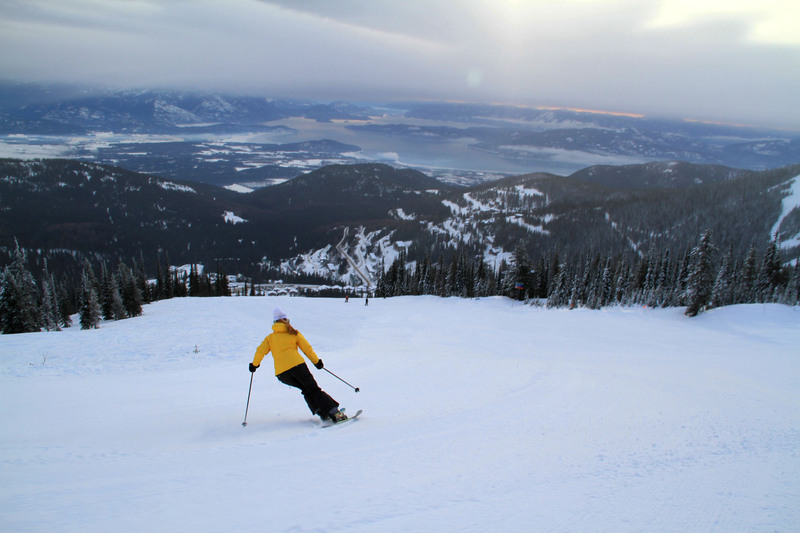 Stella six-passenger chair serves great groomed runs peppered with a few fun glades in a protected pocket. 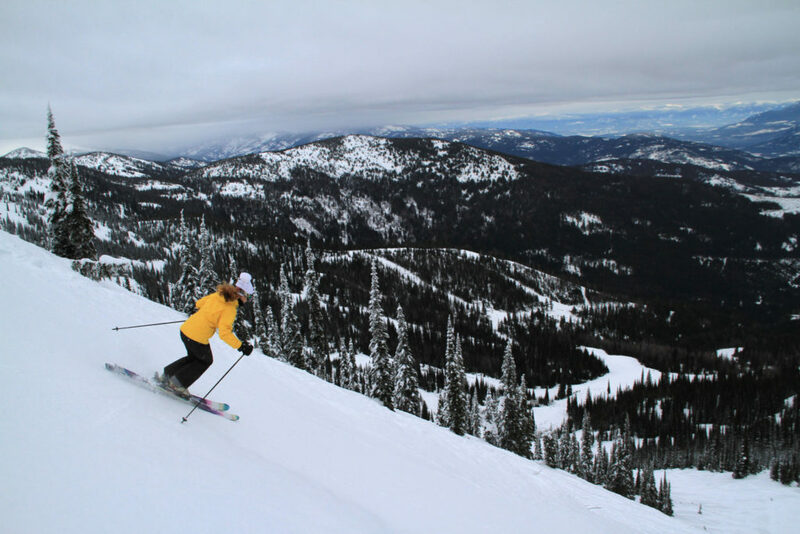 The spooky Snow Ghost Double climbs 1,900’ vertical bringing you to steeps and expert chutes, along with the resort’s longest run – 2.5 mile Little Blue Run reached by a short summit T Bar. 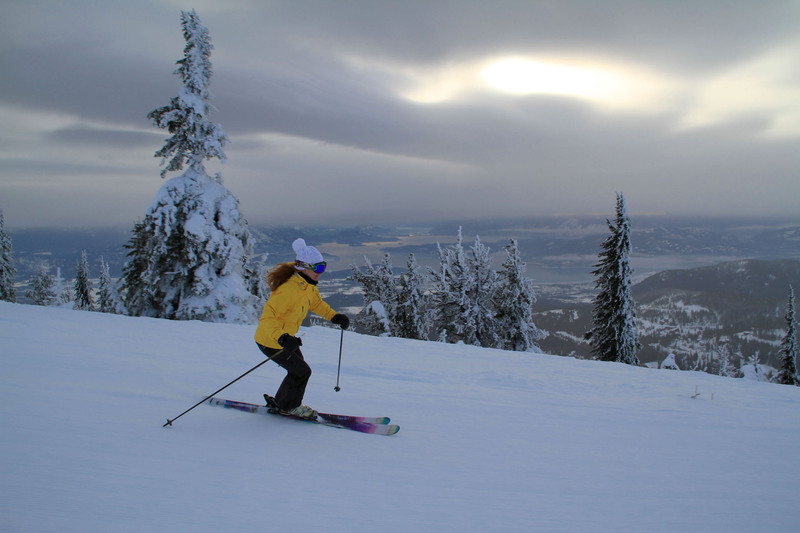 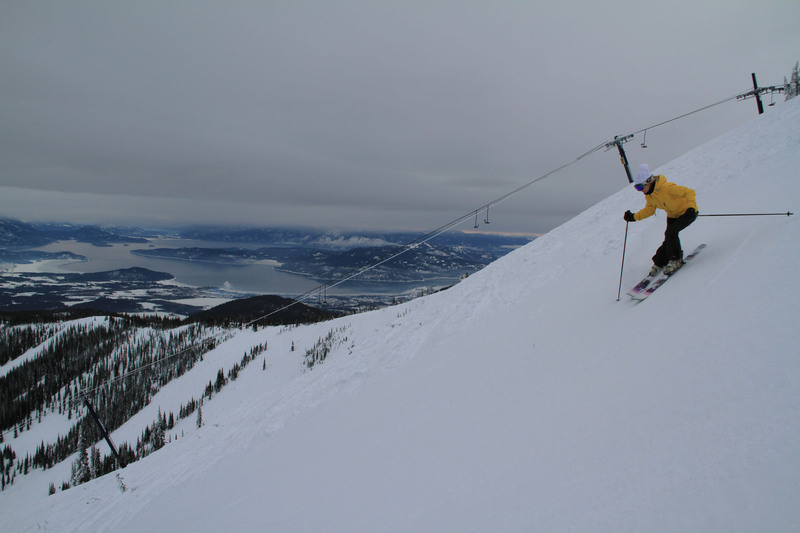 Cat ski at Schweitzer with Selkirk Powder Cats on an additional 3,000 acres starting from Schweitzer’s summit. 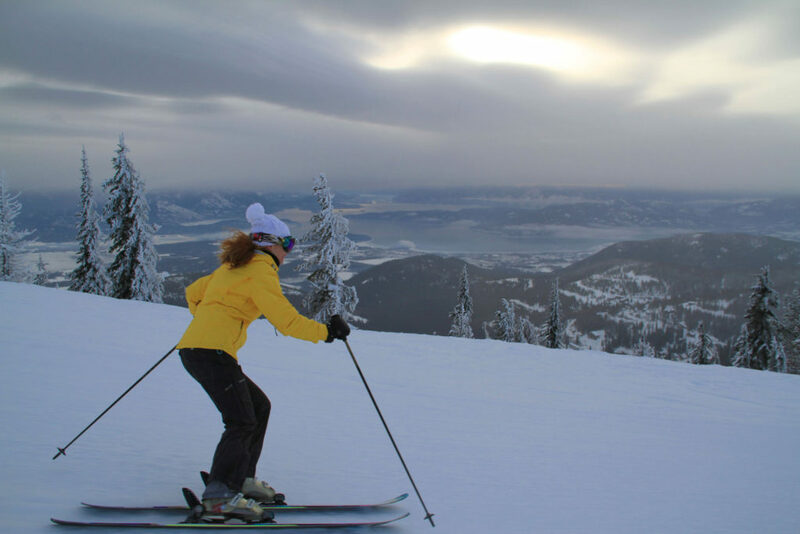 Après ski means Happy hour at Pucci’s Pub – a cozy local spot, or the louder livelier Taps Bar has bands, and a view of the Lake and the slopes upstairs at the well-named Lakeview Lodge. 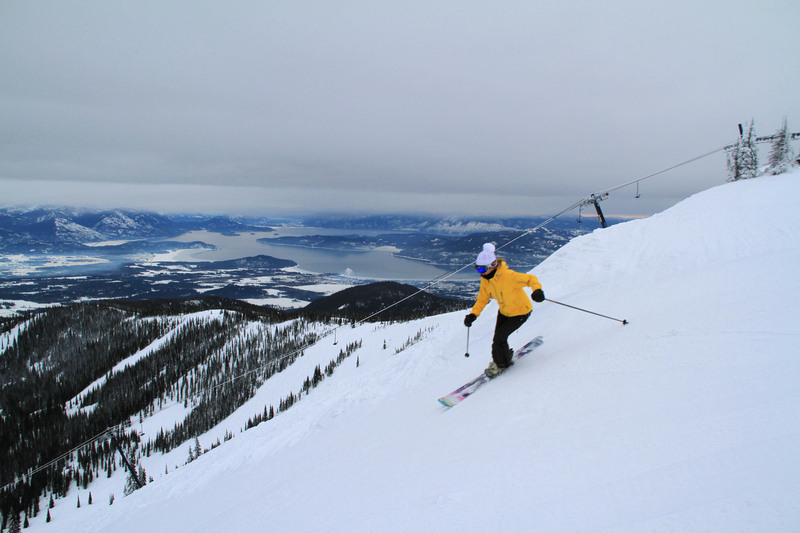 Visit the really cool town of Sandpoint, on Lake Pend Oreille, just 11 miles down a switchback access road from Schweitzer ski area. Sandpoint is a fun festive place to shop, watch the sunset at Trinity Beach Bar. 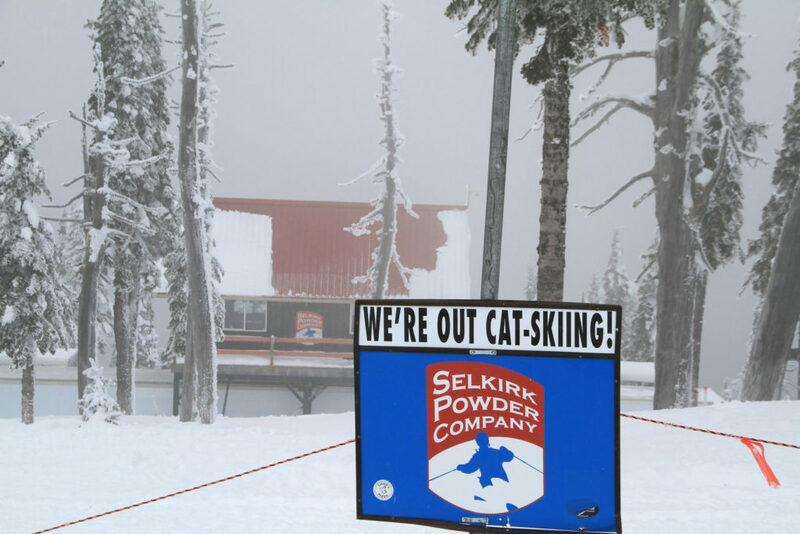 Be warned about the Pacific Northwest weather, fog and low visibility, hence the famous snow ghosts on the slopes – they call it “frozen fog” at Schweitzer. 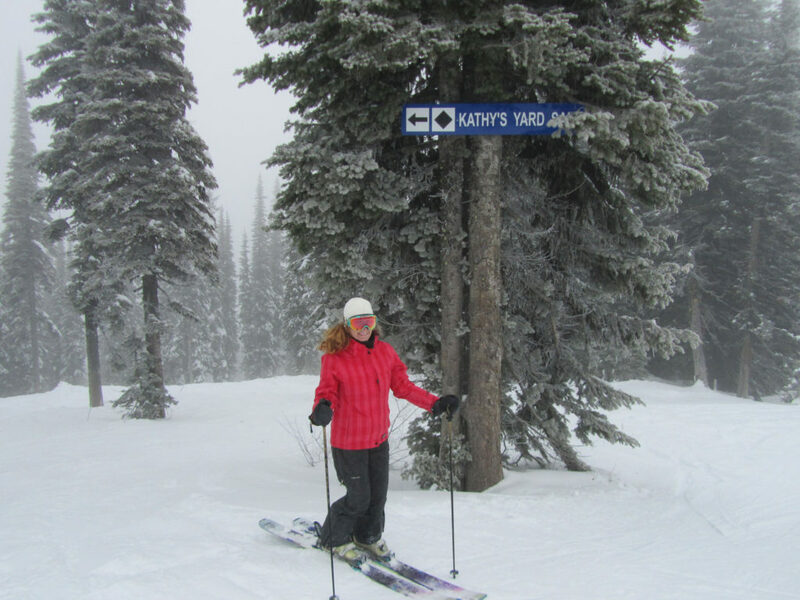 Locals say, “If you can’t see, ski the trees,” and they all ski with a skigee (squeegee for your goggles). 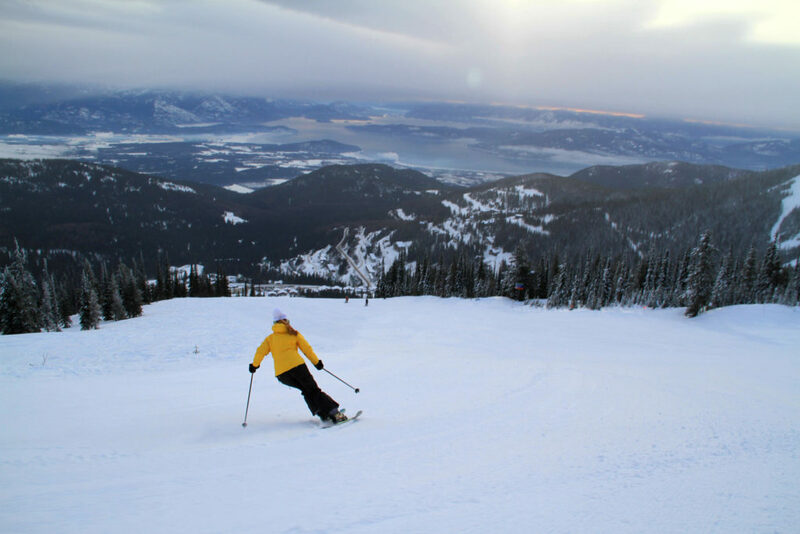 But when the sun shines, and there’s fresh snow, you will love Schweitzer Idaho!